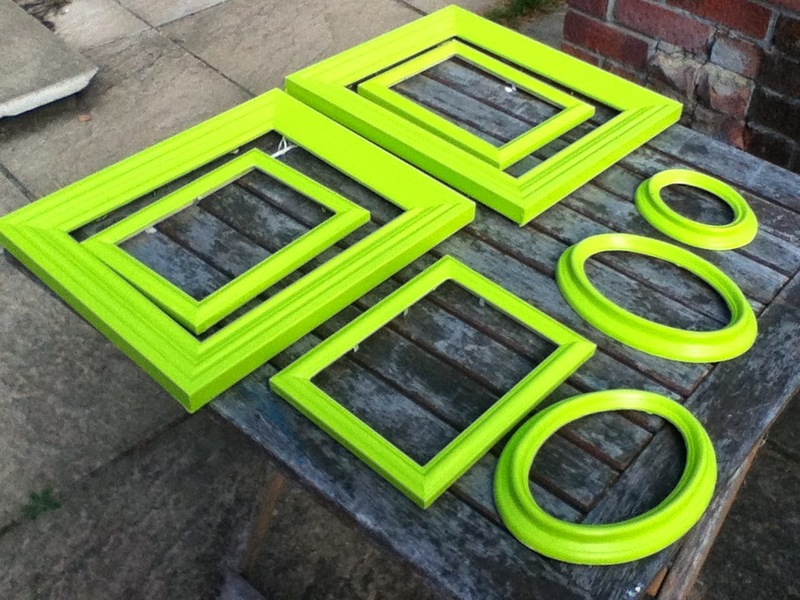 Today’s DIY – Little Green Painted Things. 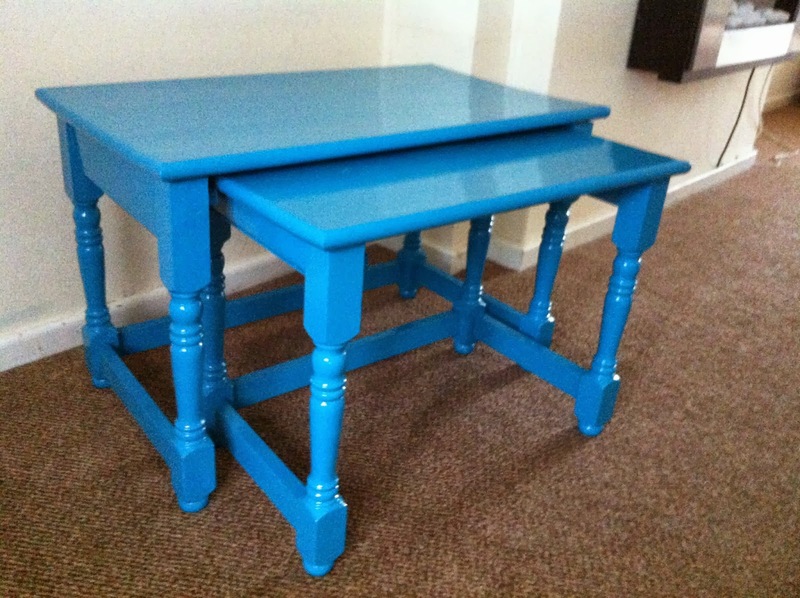 My turquoise-ish colored nesting tables are done. When they were outside, the color was much brighter than I hoped, but in the living room they are more of a green/blue color, which is better. The following photos were taken with my iPhone, so they also look more blue than they really are … but I’m pleased with them. I took the smallest of the three nesting tables and put it next to my side of the bed, until I get a table there. I started on my next painting DIY project. This time, I’m painting the coffee table, magazine holder, spice shelf and a bunch of photo frames. 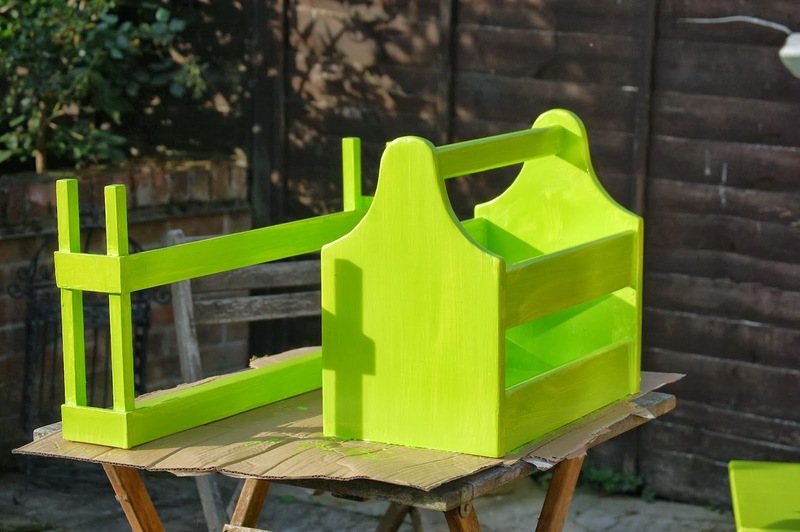 While I still have a little bit of the blue color left, I think I’ll save that for something else & try lime green! I chose a satin finish instead of glossy and I’m not sure that was the best idea, but I’m learning at the same time. Oh and there are some runny spots, which I could have sanded down, but didn’t. Perhaps I’ll touch up some of these pieces in the future but for now they are good as is. 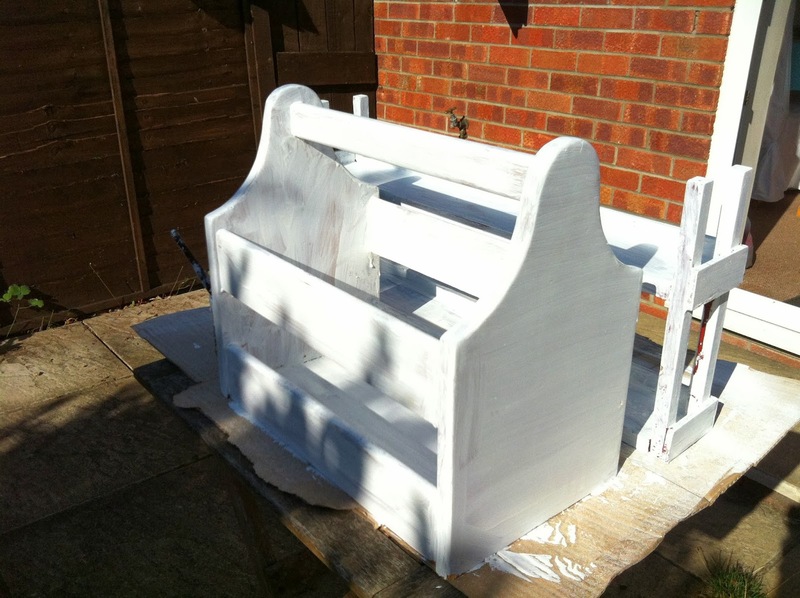 Here are some of the items – BEFORE and AFTER shots. 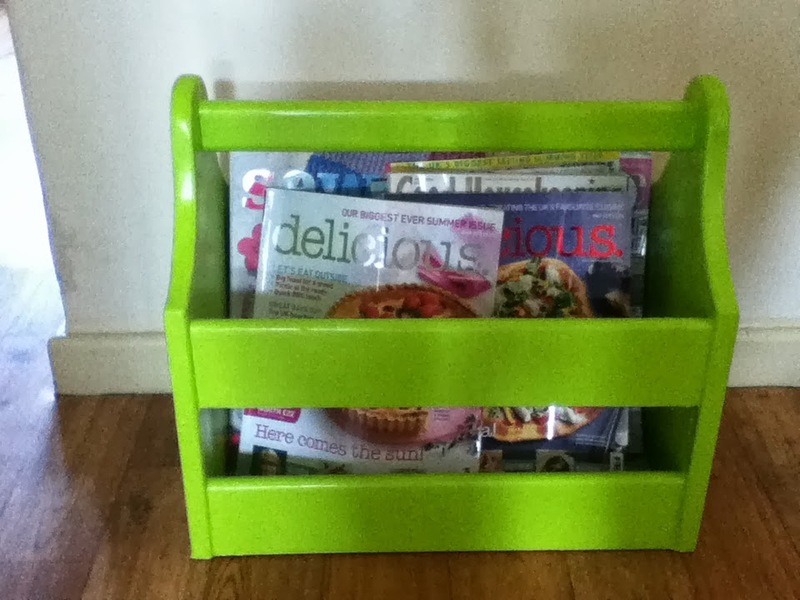 The magazine rack, was an ugly brown wood, which I picked up for 5 at the Salvation Army store, months ago with the hopes of painting it. 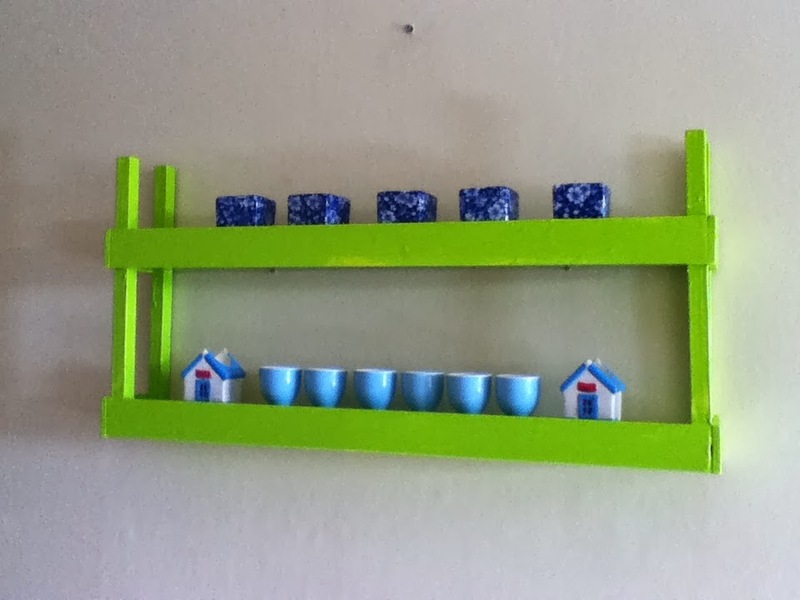 The spice rack was given to me by my MIL, and it was a dark maroonish color, but I’m using it as egg cup holder on the wall in the kitchen, so I thought why not go with the green. 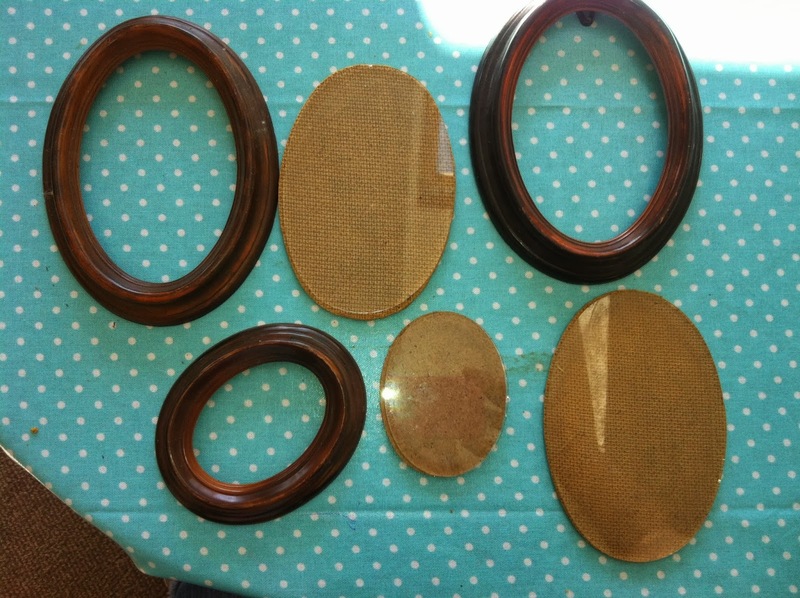 Oval wooden/glass frames picked up at the Cromer Car Boot sale for .30p each from the old couple. The other frames here were picked up at the Cromer Carnival Car Boot Sale as part of a lot of frames. Once I hang them with photos, I’ll post another photo. 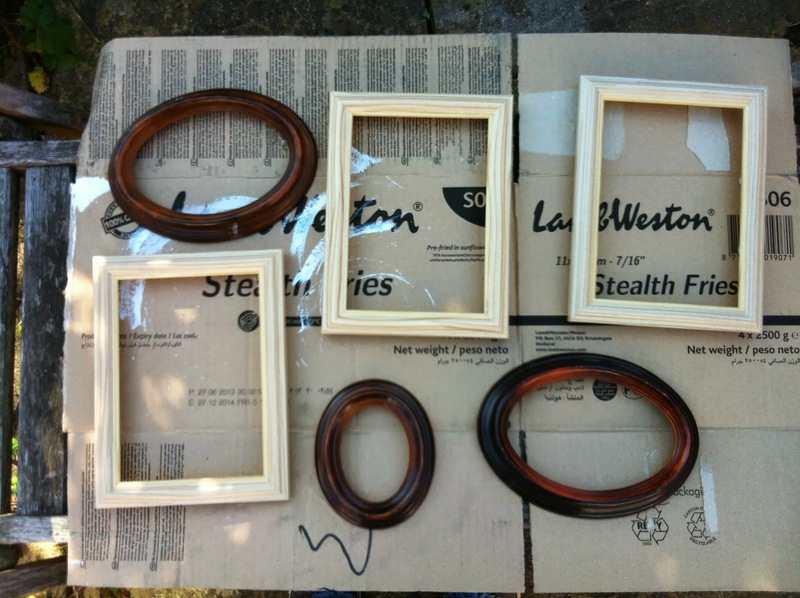 While I’m sure it would have been easier to spray paint these frames, I wanted to do them the same color as the magazine holder, as I’m going to hang them all on one wall in the downstairs bathroom.